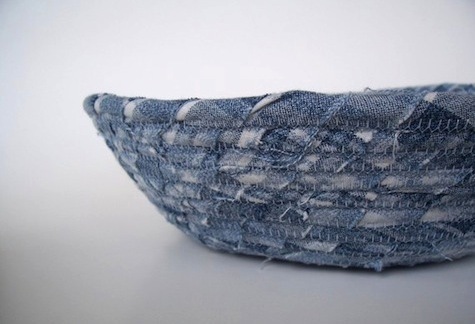 Denim is rugged, tough stuff. That lends it to being reused in many ways. Here is an eclectic series of containers created using denim. 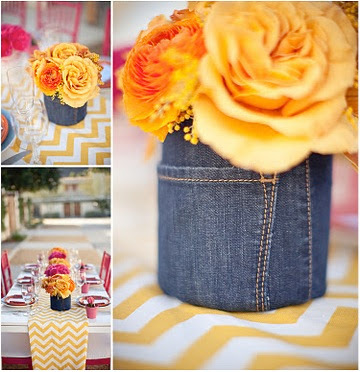 The selection runs the gamut from décor to fashion and include items that are DIY as well as available for purchase. There are certainly lots of ideas here for my stash of old jeans. The first is this saddle bag created by weaving recycled denim to create a new tapestry. 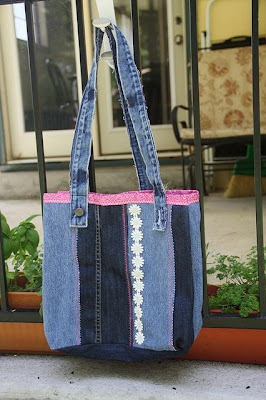 It was created by Miranda Chance and was a winner in a denim challenge back in 2010. Old news but beautiful design. 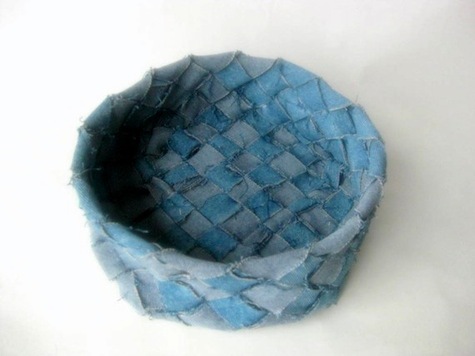 Searching for other woven denim items lead me to baskets created from the scraps. Here is one available on Etsy from Bella Cruz. The above is completed using coiled basket techniques. 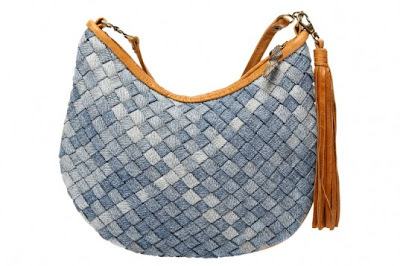 The following available at the SewDanish shop uses traditional basket weaving techniques. 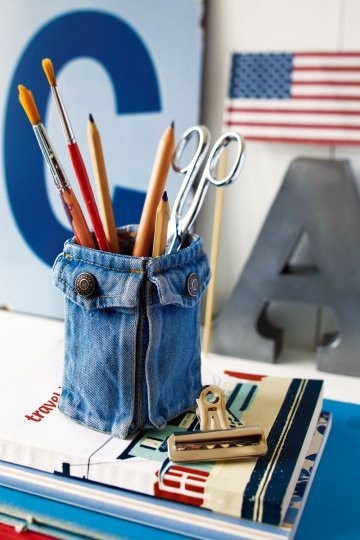 Various desk accessory containers have been handcrafted using denim. Here is a pencil holder that creatively incorporates the pockets. 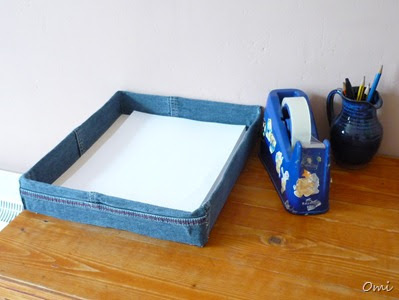 There is a tutorial over on the Idle Duck blog on how to create this paper box out of denim. 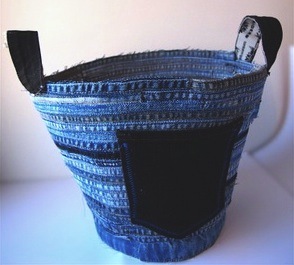 I especially like this basket/tote made from the seams and pockets of blue jeans. 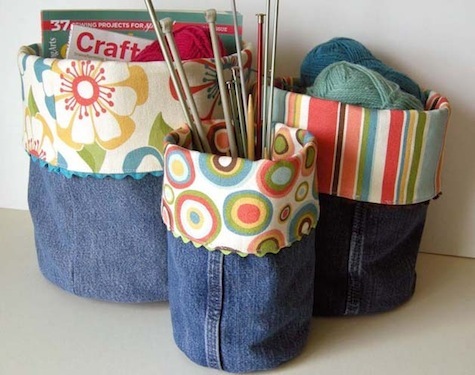 Craftzine has a tutorial on creating storage bins from jeans legs. Also consider denim vases used here as part of a country wedding theme. I'll end this post the same way I started. Here is another tote/pocketbook this one with a few embellishments in addition to mixed denim.